‘Whose Streets?’ shows what news reporters didn’t – Cinema or Cine-meh? First of all, whether or not “Hands up, don’t shoot” is reality in the case of Michael Brown is irrelevant. As “Whose Streets?” shows, the tragic shooting of the unarmed teenager by Ferguson, Missouri police officer Darren Wilson was just the beginning of a movement. Decades of racial tensions in majority-black cities (especially ones with majority-white police forces, like Ferguson) reached its unfortunate apex when a series of police shootings dominated the news cycle. Fearful and distressed Americans spoke out. 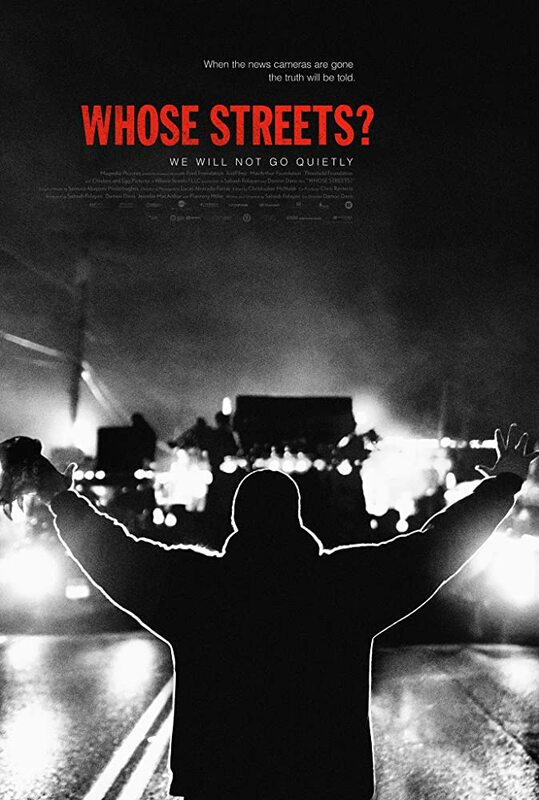 “Whose Streets?” is largely crafted from bits of camera phone footage and news clips. It’s a first-hand account of the aftermath of this horrendous shooting, and the police invasion of Ferguson that occurred thereafter. For those of us who watched cable news in 2014 and 2015, “Whose Streets?” doesn’t provide any new information. But it does give a vastly different perspective to the story than the pundits on TV—who were either sitting in a safe studio in New York or on location in Ferguson for short, out-of-context news pieces—could have possibly shown. If you’re white, “Whose Streets?” will let you see through the eyes of the Americans most affected by the systemic oppression that causes these horrific tragedies. It’s as close as we can get to being a citizen of Ferguson in 2014. “Whose Streets?” documents a reckoning—it’s a primary account, for generations of Americans to come. With any luck, we’ll look back on “Whose Streets?” and wonder how we ever let this happen. Hopefully this documentary will soon become antiquated, impossible to relate to. But if history tells us anything, it’s that this story is America’s past, present, and future.